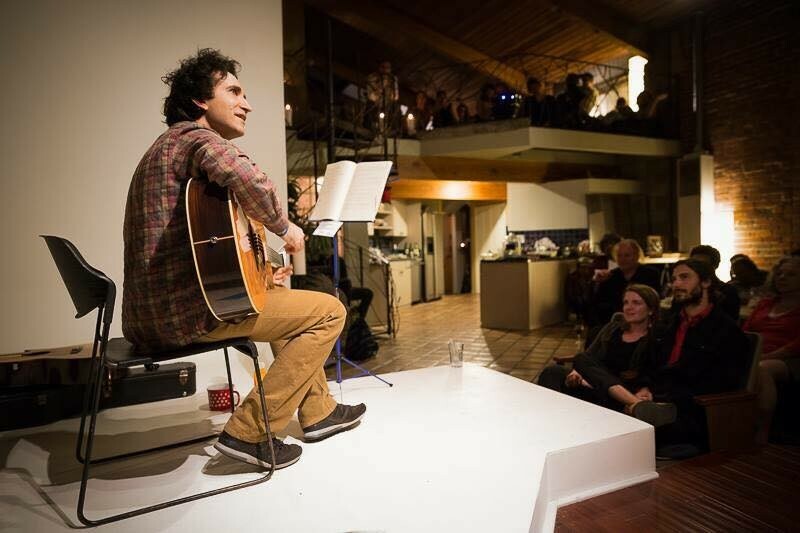 In the past 48 hours, a flood of stories and tributes have appeared honoring Dave Deporis, the Oakland musician who was killed Wednesday during a robbery turned tragic in outside of a Temescal neighborhood coffeehouse. Now, friends and family want to publish Deporis' unreleased music, and have launched a GoFundMe page to help pay for the project. Ian Petrich, a local writer who described himself as a "kindred spirit" and close friend of Deporis, 40, said that the musician played the folk scene in New York in the early 2000s and recorded several albums during that period. Petrich says the family possesses three albums worth of songs, in addition to new material that he just recorded in New York. Donations from the GoFundMe will finance the production of CDs and vinyl, and distribution of this music. Deporis was killed on Wednesday after pursuing thieves who stole his laptop outside of a Temescal coffee shop. The robbers fled to a getaway vehicle, and the musician followed, even reaching into the car to try to get back his computer. Deporis somehow became stuck in the car, which the assailants veered and crashed into other parked vehicles, smashing the musician. Police are investigating the incident as a homicide. There will be a public memorial memorial for Deporis on Saturday, September 9, at Sol Gate Studios in West Oakland. Learn more on the "In Memory of Dave Deporis" Facebook page.